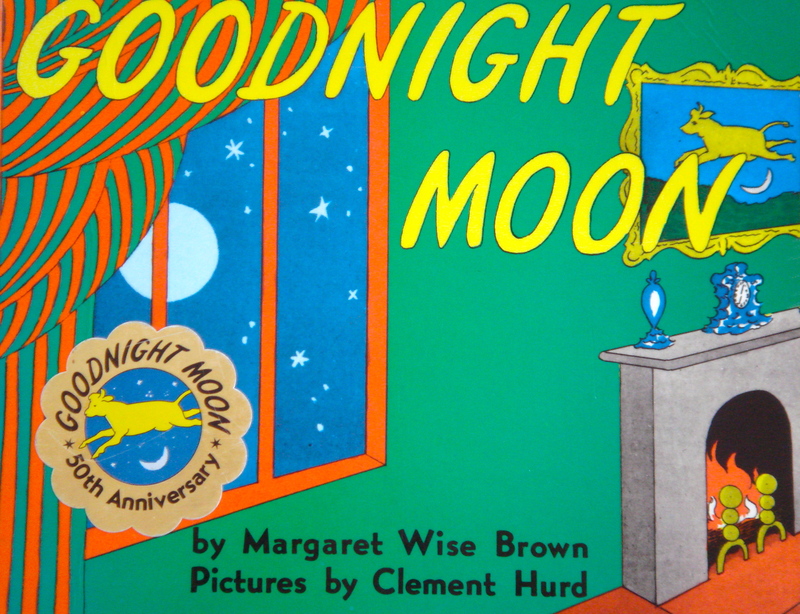 The creative genius of Margaret Wise Brown is nowhere more apparent than in Goodnight Moon. This beloved book begins, “In the great green room/ There was a telephone/ And a red balloon/ And a picture of –/ The cow jumping over the moon”. After listing the contents of the room, each item is tucked away for the night, “Goodnight room/ Goodnight moon/ Goodnight cow jumping over the moon”. In the vibrant illustrations by Clement Hurd, we see a bunny rabbit in blue and white striped pajamas in his bed in the green room surrounded by the objects listed in the story. The old lady appears knitting in the rocking chair and then disappears. Two kittens play with a ball of yarn and curl up together. The mittens and socks dry by the fire. A mouse scampers across the floor and ends up on a windowsill staring at the moon. The lights dim and the bunny falls asleep. A spare 130 words, the book is a marvel of writerly restraint. It contains considerable rhyming (“And a comb and a brush and a bowl full of mush/ And a quiet old lady who was whispering ‘hush’”), but Brown was no slave to poetic meter. The result is a work of considerable sophistication with just enough dissonance and asymmetry to lend contrast to the soothing nursery rhyme cadences. Margaret Wise Brown died at the age of 42. While on a visit to France in 1952, she had a pulmonary embolus while recovering from surgery for an ovarian cyst. In the settlement of her estate, the future royalties of Goodnight Moon were projected to be $500. The beneficiary of these royalties was an 8 year old boy who lived in her neighborhood. In fact, this book became one of the all time bestsellers of children’s literature. It is a book that can be read hundreds of times as a bedtime ritual and never lose its freshness. Aside: On the wall of the green room is a framed painting which depicts a fishing rabbit. 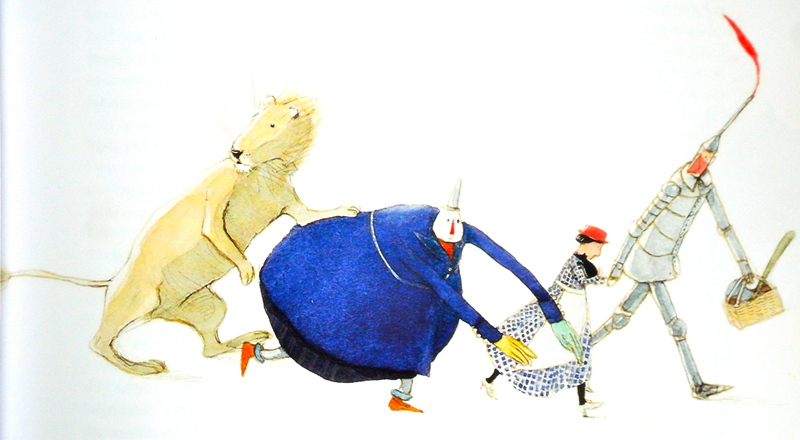 This is an illustration from The Runaway Bunny, another book written by Brown and illustrated by Hurd.